GOOD fresh ingredients are the key to a great pizza, according to Galleon Pizza and Takeaway owner Mort Jack. 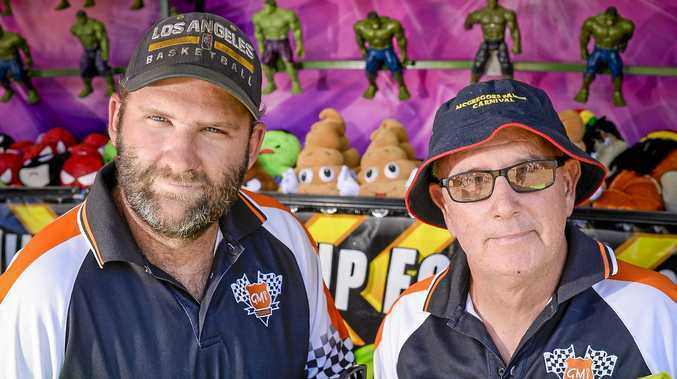 Galleon Pizza and Takeaway at Tannum Sands was last week voted as the best place in Gladstone area to get pizza, according to The Observer's Facebook likers. With 22 years of experience and good fresh ingredients, people could see the difference with Galleon's pizzas, Mr Jack said. "Other pizzas you get a mouth full of mushroom, then one of peperoni and then onion," he said. "With our pizzas you get the blend in every bite. We are not a fast food restaurant, everything is made to order." Mr Jack's wife and business partner, Trish Jack, said customer service kept them in the business. "Customers are not a number - they are a name for us," she said. "If they are in their car and their meal is ready, we go and take it to them." Bruce Ricketson said he just bought a place near Tannum Sands and was looking forward to trying Galleon's pizzas. "I like a decent base and I'd rather pay for quality," he said. "A $5 pizza is always a $5 pizza. I want quality over quantity." 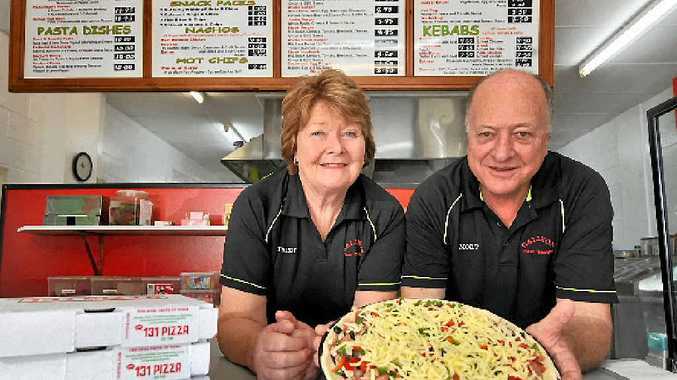 Tiny's Woodfired Pizza, Pizza Capers and Domino's were also mentioned on Facebook as favourite pizzerias in the region. Tammy Nelson from Kirkwood said she liked a slice from Pizza Capers. "It's not so greasy, it's just right," she said. "You don't have to wipe it off your chin."